Cow Creek tumbles down over Bridal Veil Falls in the Lumpy Ridge area of Rocky Mountain National Park. 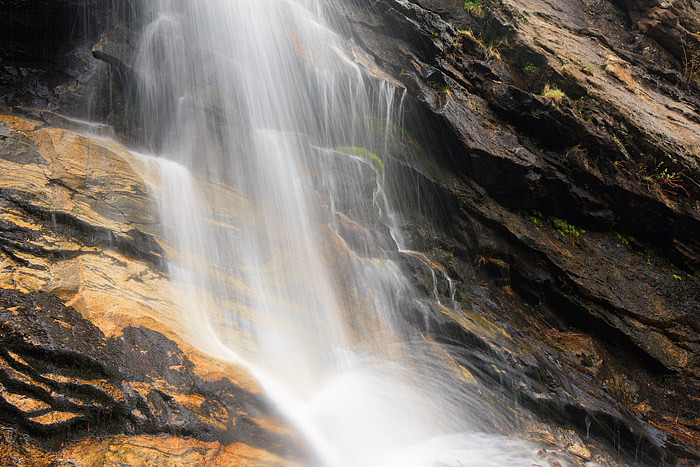 Spring runoff cascades over the granite surface of Bridal Veil Falls. Photo © copyright by Thomas Mangan.